Maria Oneida and her two children, Oliver (11) and Mary (8), left Honduras fleeing violence and economic instability in May 2014. All three are now considered “priority” for deportation solely for being immigrants who recently immigranted to the U.S., and are fighting to stay in Chicago, the place they now consider their home. When Maria, Oliver, and Mary first came to the U.S. they were stopped at the border and detained for 3 days in a Texas detention center. After being released, they traveled to Chicago to reunite with a family and the Chicago Albany Park community that has taken them in and loves them. Since then, they have been asking immigration to stop their deportation. Oliver and Mary who are very intelligent and lovable kids who have come to love their school and enjoy science and math. They attend Hibbard Elementary School in Albany Parkand are liked by their friends and teachers. But they live in constant instability. Two times per week, Maria has to check-in at the immigration enforcement office. The uncertainty and the threat of being deported at any moment has caused great stress and depression to both Oliver and Mary. Maria has become involved in her community. She attends events and workshops at the Albany Park Autonomous Center, and volunteers with Organized Communities Against Deportations. She is a strong mother, who supports her children and is looking for the best opportunities for her family. 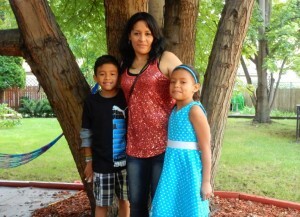 Please join Maria, Oliver, and Mary in asking that ICE to use prosecutorial discretion to stop their deportation. 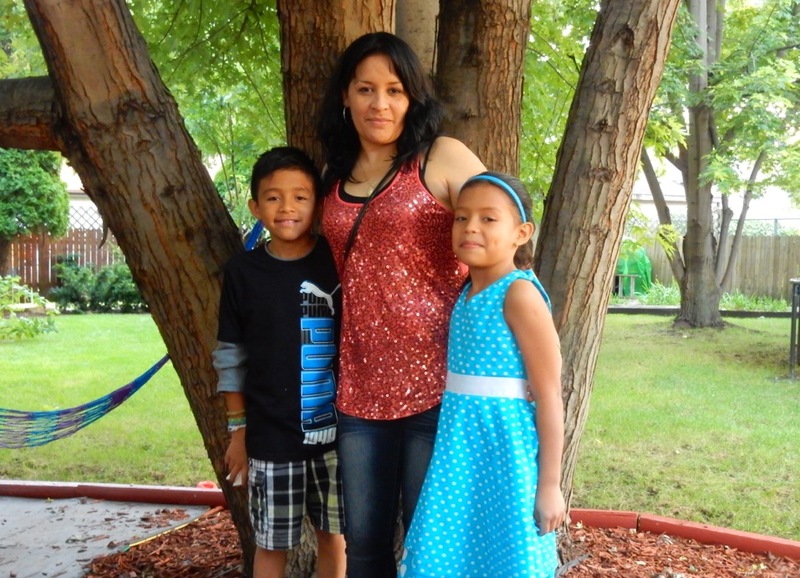 Please sign to make sure that Maria and her children are able to stay together in Chicago. I am writing regarding the cases of Ms. Maria Oneida Mejia-Hernandez (A 206-715-191), and her two children, Oliver Joel Nunez-Mejia (A 206-715-193), and Mary Angel Nunez Mejia (A 206-715-192). I am writing in support of the use of prosecutorial discretion for their case to stop their deportation. Mrs. Oneida is an integral part of her community. She came to the United States in May 2014 seeking safety and a better life for her children who are now eleven and eight years old. Mrs. Oneida has done everything in her power to ensure the safety and care for her children. She makes sure both her children attend school regularly, has made every effort to ensure that they have the support of her family and that they are active in their school. Mrs. Oneida is also very active in her community, having become a spokesperson for immigrant rights and advocacy in the Chicago area. I urge you to take into full consideration the many positive factors in Mrs. Oneida’s, Oliver’s and Mayli’s case and use discretion to allow them to stay in Chicago with their family, friends and community.